Here’s a perfect lunch option for summer. 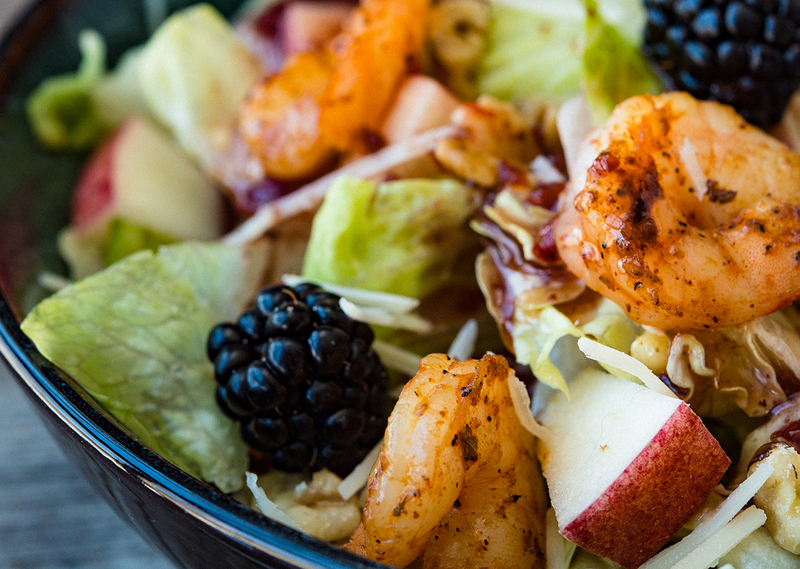 Shrimp is a great protein addition that keeps this salad light and refreshing. The blackened seasoning lends a kick of flavor and heat, while the tasty blackberry dressing offers the ideal complement of sweetness. Attach upper and lower grill plates and preheat Grill & Broil to 400°F. In small bowl, prepare blackened seasoning mix; combine salt, pepper, garlic and onion powders, paprika, cayenne, thyme, oregano and basil. Place thawed shrimp in zip-top bag and sprinkle in 1-2 tablespoons of blackened seasoning mix. Reserve remaining seasoning for later use. Close zip-top bag and shake to coat shrimp with spice mixture. Place shrimp onto preheated grill and grill for 4 minutes. Meanwhile, in large bowl, combine lettuce, cheese, blackberries, apples and walnuts. Toss to combine. In blender, blend all dressing ingredients together, except oil. With blender running on low speed, slowly drizzle in olive oil until dressing thickens, or for about 45-50 seconds. 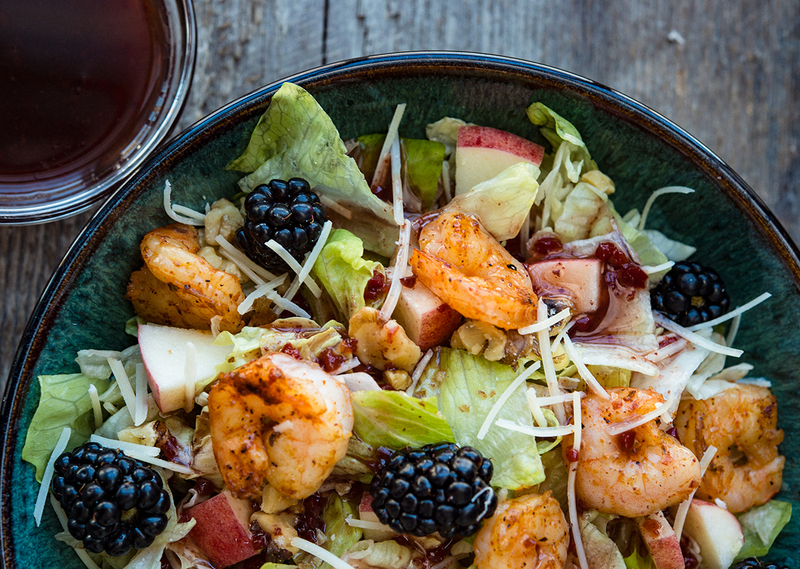 Top salad with grilled shrimp and blackberry dressing.